Here’s a sample of what we worked on at a spring Math Teachers’ Circle meeting with Justin Lanier. 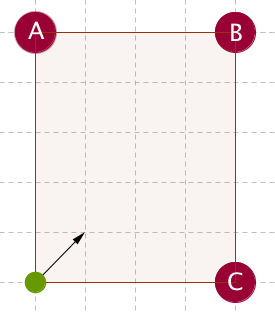 If the green pool ball is sent off in the 45 degree angle shown, then it will bounce off the opposite wall, one unit below point B. If it continues to bounce around the table, will it eventually go into one of the pockets marked A, B, or C, and if so, which one will it reach first? 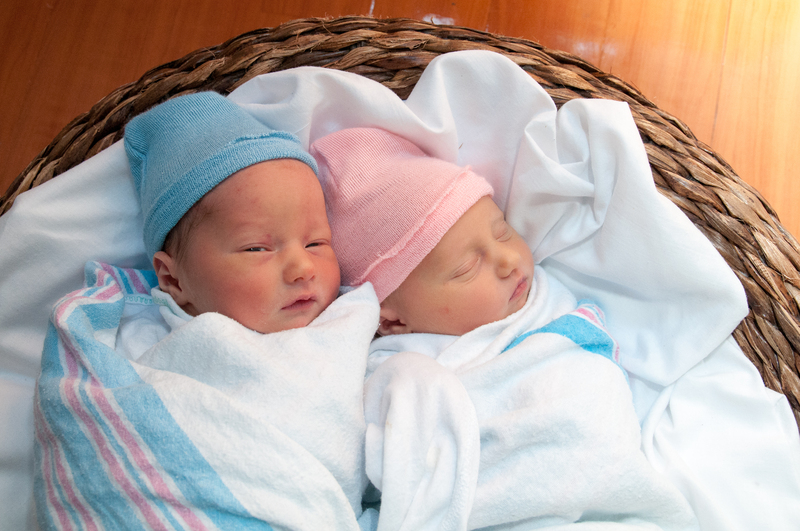 Meredith’s new twins! They joined the math community in Fall 2014 – congratulations Meredith! 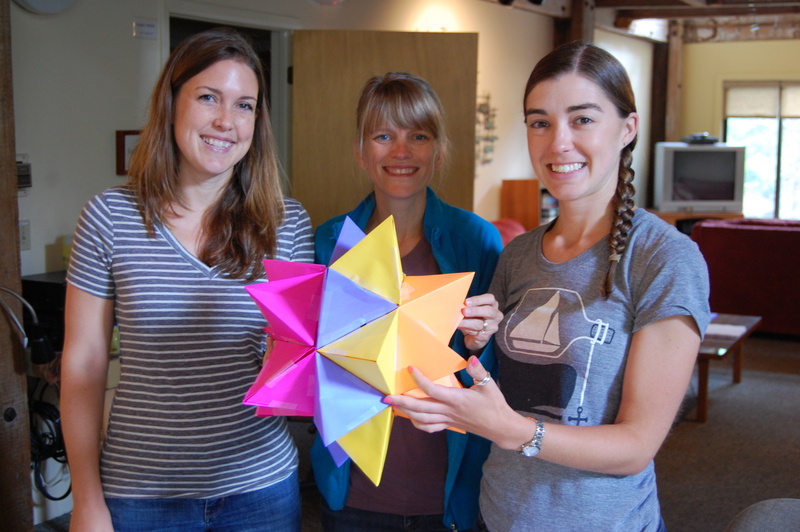 And building colorful polyhedra at the 2014 Summer BMTC retreat! Summer retreat is in session! We’re having a great time in Essex! Materials from the retreat are posted on our Retreat Materials page. 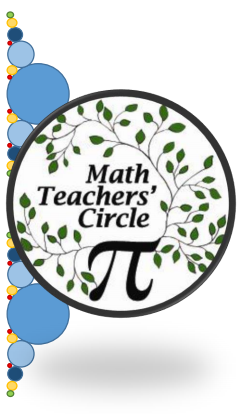 We are excited about creating a math circle for Boston area teachers: a community where teachers and mathematicians can celebrate the creative spirit of math together, and explore ways to bring the joy of mathematics to our students. We are putting together the 2014-2015 program now, which will focus on middle school teaching. We will start the year off with a summer retreat (August 4-8) followed by monthly Saturday sessions at Harvard through the school year. In addition to earning professional development points, participating teachers will gain a deeper sense of the joy, beauty and excitement of mathematics, and a network of teachers and mathematicians to draw on through the year.